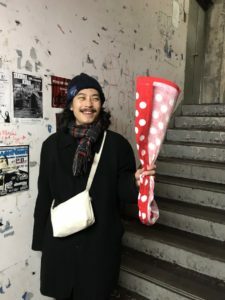 ***Student News*** – Kiichi Morishita 2 live dates in Hokkaido!! 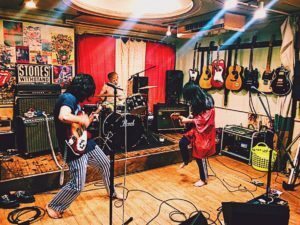 Bond student Kiichi Morishita’s band, Pajama D-Red, recently had a mini-tour of Hokkaido! Kiichi is lead singer and lead guitarist for the 3-man, slamming rock band Pajama D-Red. 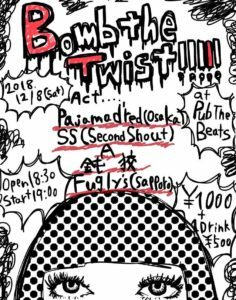 On Saturday, December 8th, the band performed a rocking set at the “Bomb The Twist” party in Hakodate at live house Pub The Beats. 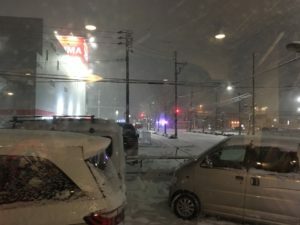 After an epic show, the hard-working band jumped in their rented Toyota HIACE, and drove to Sapporo in the snow, at 4am! It was cold enough to perform the frozen towel experiment! The drive took 8-hours in the snow! 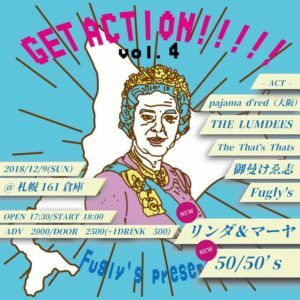 In Sapporo, Kiichi and his band played another intense set, this time at the Get Action party at live house 161 Warehouse. Flyer design by Kiichi! Congratulations to Kiichi and Pajama D-Red for their Hokkaido tour. You can visit the band’s site at www.pajama-d-red.com. **Student News** – Norio Kakimoto Hawaii trip! !